Chive and onion cream cheese and bacon top waffle potato chips for a quick snack for one. 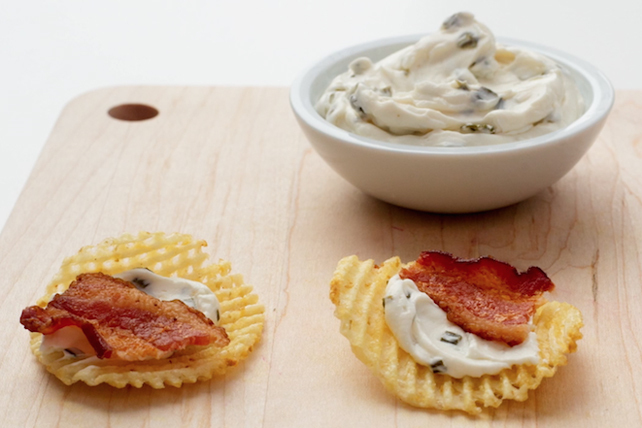 Spread potato chips with cream cheese product. Prepare using Philadelphia Jalapeño Cream Cheese Product.